When you’re a world citizen moving from country to country, there’s always a lot of paper work to do. However, some exercises are of the more practical sort, like taking the driver’s license! -Oh no! The first time I lived abroad I realized that I had to take a new driver’s license, more than 20 years after the first time. When we moved to St. John’s, Newfoundland, I brought a toddler. To find time and energy to read all the rules was not easy. Luckily I passed the written test and was ready for my driving test. 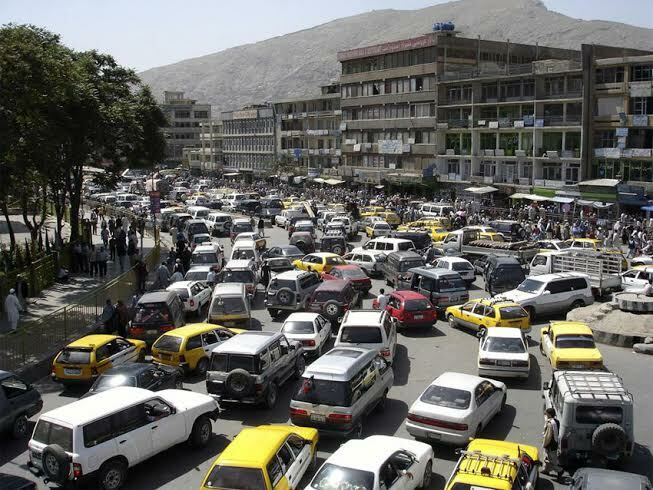 A couple of days earlier I had practiced parallel parking in one of the most crowded streets, as this is the first exercise you have to perform at the test. If you do not succeed you just have to go home and book a new appointment. -Excuse me, but do you look after aliens here? Hah-hah. What a start! Luckily I succeeded after a nervous drive around the exercise area. Phew! -This must be my lucky day, I thought when the company lawyer told us that the authorities could just issue Brazilian driving licenses by checking our Norwegian ones. But how long was Adam in Paradise? The traffic in Rio was not easy to deal with! They didn’t mark the lanes around the junctions, so you could pack as many cars as possible side by side, while waiting for the green light. Then the one with the fastest car or heaviest foot got hold of the marked lanes at the other side. Hum. How could I dare to drive in this traffic? My husband had to persuade me for the longest time, but one day I swallowed heavily, took ten deep breaths and threw myself into the traffic. I closed my eyes and dove in. After some time we learnt the trick from a local. -You do only have to watch – or be responsible to – the cars parallel and ahead of you. You do not have to yield or bother with the ones behind that point. A good advice, but my pulse was still on red a couple of times. The next time we moved to Rio, there were new rules, and we had to take a written test in Portuguese in order to get a driver’s license. But as my Portuguese was quite limited, I chose to ride with our driver. Or walk! 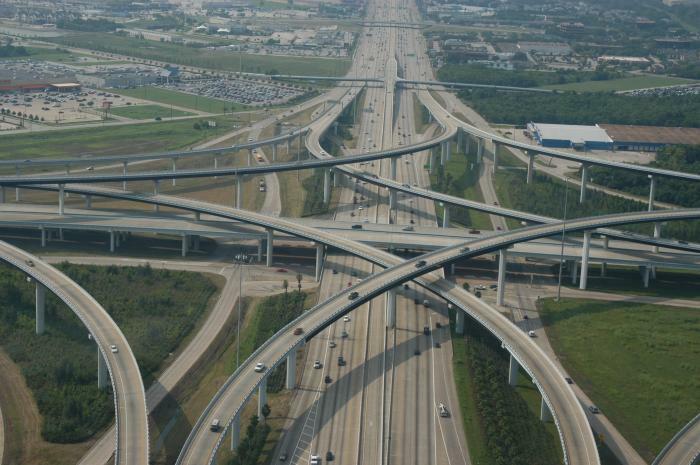 Arriving in Houston, we were greeted by the Katy Freeway with 26 lanes in certain parts, the widest highway in the world, servingmore than 219.000 vehicles daily. -If you’re uncertain of one of the answers, just press the “skip button” and continue, because as soon as you have the required amount of right answers you’re done. Guess who was happy when “congratulations – you passed” flashed all across the screen. So, now the worst part remained; to provide all the required documentation and take the driving test. My husband took the test before me and his paper work was approved. I had the same documents, but they were not accepted so he had to go to the office and get me what they required. I guess my clerk just had a bad day. My husband had a very nice DMV officer. However, I was not that lucky. Mine was really grumpy. 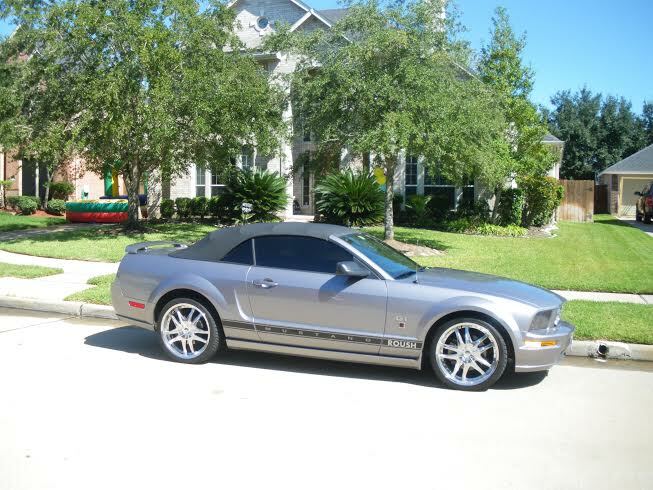 I drove a Mustang convertible, which is a relatively small car – and the lady was big. She managed to squeeze into the passenger seat with her score board on her lap. Since I was afraid to fail at the parallel parking, I had taken the roof down to get a good look at the yellow marking sticks, since the hood had a relatively small window with limited backwards view. This was early June and the weather was great. I turned on the air condition, but the DMV officer was still too hot and got really edgy. When she gave her instructions, her lips were moving like two worms, and she was singing on the vowels in a strong southern accent. My husband had advised me to ask if I didn’t get the instructions straight. I asked her to repeat several of the questions, and she grew impatient and asked me to back half a kilometer! –Hah, I thought. You don’t know that my grandparents had a farm with a long, straight alley leading up to their house. I started driving at an early age, while visiting. Driving one way and reversing the other. If I failed, I would end up in the fields or in my granny’s orchard. When we were back at the DMV office, she turned her head, now with a wild, windblown hair, and barked: You passed! Normally you can just trade in a valid US license, but in Alaska it’s different due to the severe weather conditions. 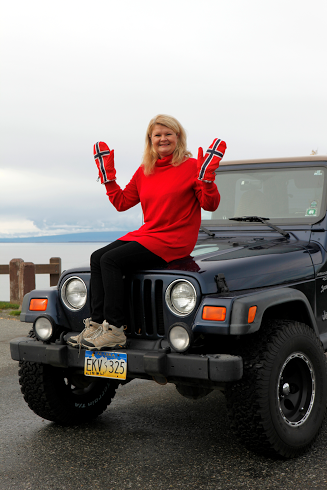 However, I only had to take the written test to prove that I knew how to drive during the winter season and since I’m from Norway, I’m actually good at driving on snow and ice! To be continued in yet another country?